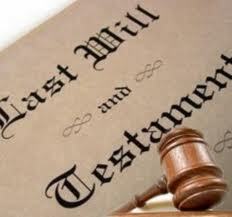 SAN DIEGO (AP) – The Federal Deposit Insurance Corporation (FDIC) ruled on Tuesday that the nation’s largest banks must create “living wills” to provide how they will be dismantled in case of failure. The rule applies to 37 banks holding approximately 61 percent of a combined $4.14 trillion in government-protected deposits. The FDIC also proposed a rule to require banks with more than $10 billion in assets to conduct annual stress tests to show ability to respond to deteriorating economic conditions, such as increasing unemployment and decreasing home prices. ·Separating the institution and its subsidiaries from the parent company. ·The sale or disposition of the institution's deposit franchise. ·The sale of core business lines and assets. The implemented FDIC rules were required under the Dodd-Frank Act.